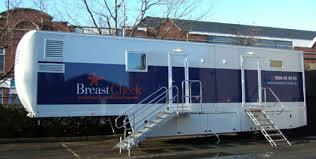 No room for Sligo’s mobile BreastCheck Unit? Sligo to Tubbercurry to Collooney and back again to Sligo, will anyone give it a home? Space in Sligo is aparently in short supply, so short it looks that a site cannot be found for the Mobile BreastCheck Unit. Only a few weeks ago, Health Minister Simon Harris informed the area’s government TD Tony McLoughlin that the HSE had extended the contract for the service by a year. Then lo and behold Sligo was told that the unit was being switched from the town to Tubbercurry. This meant patients would have to find a way of getting to the South Sligo venue. However, there then came news of yet another change in the offing. This time Collooney was identified as the HSE preferred location. But apparently no luck there either. Now, the unit is on the lookout for yet another ‘home’ back in Sligo again. Trouble is, dear old Sligo doesn’t seem keen to have it within the town boundaries – or so it looks. Patients, however, are being assured that the search for a site is top of the local agenda. A local businessman is leading the charge for an accessible venue with lots of room to cater for the huge six-bay vehicle on which the service is transported. As an incentive to have the unit operational at the very earliest, Sligo Today has said the news site “would be honoured to pay for the unit’s first week”at whatever place the unit finally comes to stay. A nice gesture. So, is all set for an early happy ending?